Somewhere between reportage and fine-art. For the most part I will document you day, like a fly on the wall with a camera. While at the same time, I will ensure that I capture timeless, stylish images of you and your guests. A few weeks before the wedding, I will scout the venue. I also insist on meeting you, to ensure we are all on the same page with regards to the big day. The day before your wedding, I charge my camera batteries, I format my memory cards, I make sure I’ve got the venues location programmed into my satnav and I ensure there’s plenty of petrol in my car. Both. Personally, I prefer black and white images. However, I always try to ensure that at least 40% of the images you receive will be in colour. If you’d rather have just black and white images, then get in touch as there are discounted rates for this. Yes, I am fully insured. 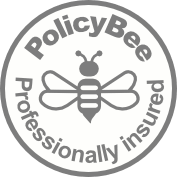 I have professional indemnity insurance along with public liability insurance. Many venues do insist that photographers have insurance, so if you wish to see my details, do not hesitate to ask. I’m married, I have two young children. I’m 38 years old. I like to think I can play guitar and I like to watch films when I can… mostly films that include spaceships and superheroes.